I suppose it’s disrespectful to say "If it walks like a duck…"
In 1973, Islam attacked Israel on Yom Kippur. President Obama is following suit with his own Ramadan War on Israel. Oh, wait! Ramadan is a month of peace, right? A month that war is forbidden. UNLESS THE VICTIMS ARE UNBELIEVERS. The Sira, (2) a sacred book studied by all imams, clerics and mullahs, reveals that when Mohammed’s men attacked and killed a caravan of unbelievers on the last day of a sacred month, Allah’s response according to Mohammed was, "They will ask you about the sacred month, and war in it.… If you have killed in the sacred month, they have kept you back from the way of Allah with their unbelief in him, ..and they will not cease to fight you until they turn you back from your religion if they can’" (Sira:425, 426) And so Allah sanctioned slaughtering on sacred months as Mohammed's men were excused. The Quran/Koran instructs Islam to follow the Life of Mohammed. The Sira is accepted throughout the Middle East as the oldest and most accurate account of that life and it sanctions murder and deception as long as it furthers the cause of Allah. Obama studied Islam. The West does not. The greatest propaganda machine in all of mankind’s history has been the marketing of Islam as peaceful. We are flooded with that claim in our schools, in the media and from the White House. Most of us believe it even as entire nations are being systematically slaughtered in the name of Allah. Obama’s "illegitimate settlements" indeed! Israel’s rights to her homeland are archaeological, historical, Biblical. (3) The Jews were ousted by the Greeks and the land became the most desolate spot on earth. The Jews came back and BOUGHT it when Great Britain controlled it, they paid for all of it including Jordan and the mountains of Israel. But then under Arab pressure, the deal was reversed and Israel only received 23% of what they paid for. Yet the Jews continued to purchase it independently. Israel is the only nation that can prove by land titles and deeds that they OWN the land, five-times what they have, paid twice over, for what was theirs in the first place. Testimony before the Royal Commission on January 12, 1937 proves the private purchases were recognized. There was never a nation of Palestine, it is only the location swarmed by various peoples after the Jews made it lush again. Now what small percentage the Jews have left, Obama is calling "illegitimate." Where is that birth certificate again, Hussein? Israel has one. You won’t show us yours. "We continue to emphasize that America does not accept the legitimacy of continued Israeli settlements (in the West Bank)… We know the future will be forged by deeds and not simply words. Speeches alone will not solve our problems. It will take persistent action. So for those who question the character and cause of my nation, I ask you to look at the concrete actions we have taken in just nine months." Muslim representatives thundered in applause. 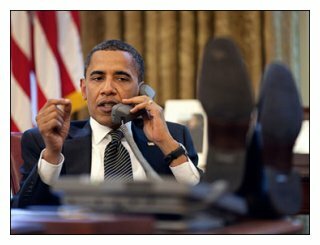 (Shudder) What are we forging by Obama’s deeds? Steve Hayes of "The Weekly Standard" assessed the Obama administration as wanting to "elevate the United Nations and make it a serious global policy-making body. …"You have Muammar Qaddafi, a rogue dictator, a crazy man, speaking -- supposed to speak for 15 minutes, ends up speaking for some 90 minutes, filled with untruths, half-truths, complete nonsense. The United Nations was never able to enforce its resolutions on Iraq. It is not able to enforce its resolutions on Iran. It is not even able to keep Muammar Qaddafi from talking for more than 15 minutes. I think it was a dangerous speech in many ways." Charles Krauthammer, noted political analyst said, "Obama's speech is alarming because it says the United States has no more moral right to act or to influence world history than Bangladesh or Sierra Leone. It diminishes the United States deliberately and wants to say that we should be one nation among others, and not defend the alliance of democracies that we have in NATO, for example, or to say as every president has said before Obama that we stand for something good and unique in the world. Rush Limbaugh was livid and said, "He talked about Israeli occupation, the "illegitimacy of the continued settlements"… Barack Obama is deconstructing the United States of America, internally and now externally in terms of foreign policy…He just ripped this country to shreds. He ripped Israel to shreds. He's promised we're no longer going to be a superpower…He talks about a New World Order, and a New World Order is him. Obama is bigger than his country; he's bigger than the presidency; he is the world. He delivered the United States of America to global powers today, just handed us over on a silver platter without a gunshot, without a shot being fired." But Sarah, those are Obama’s buddies. It’s not certain whose speech she was condemning, but Obama "emphasized" which side he is sitting on. And he is claiming America sits with him. America has THREE branches of government, Legislative, Judicial and Executive. Obama sounds more like a dictator, confident of his singular control, and has been assuring ISLAM we are one with them. Obama said, "We are no longer a Christian nation" It didn’t take long for him to ring in his favored replacement. During his campaign, Obama talked about "my Muslim faith" and then claimed it was a gaffe. In light of recent news, the "hope and change" he’s reaching for, even his staunchest defenders have to be taking a second look. WE THE PEOPLE are getting fed up with Obama dictating who we are, apologizing for us to pseudo-human-rights thugs and tyrants, and doing everything he can to destroy what was once a great nation. The only hope I have is in my Lord and Savior. Pray for Israel and pray that Obama fails with his changes. I don’t want my future granddaughters forced to wear Obama burqas. More importantly, I don't want to be counted as a people against Israel. That's a cup of trembling (7) I pray none of us will have to drink.